Ever tried dry brushing before? Or maybe we should start with a simpler question. Ever heard of dry brushing before? This technique may be ages old, but it’s brand new to many of us. We’re not talking about hairbrushes, here. Dry brushing is all about the body! Sound weird? Maybe, but as a celebrity-loved secret in skincare, it’s clearly worth our attention. We picked out a top-notch dry brush to get us started, and it’s going to leave us wondering how we ever went without it! 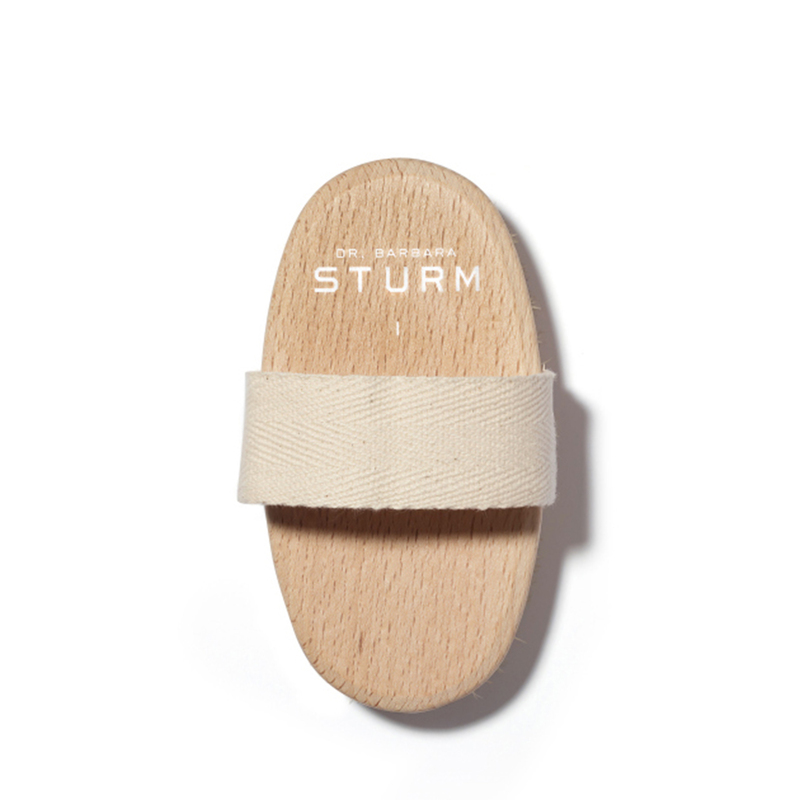 The Dr. Barbara Sturm Anti-Cellulite Body Brush may be the answer to all of our insecurities. Celebrities can’t get enough of dry brushing and how it’s impacted their skin. Gwyneth Paltrow has said that she dry brushes every night before showering, while Victoria’s Secret model Josephine Skriver put it on her list as a must for runway prep, calling herself a “big fan” of the technique. Even celebrity facialist Cynthia Franco, who has worked with Amber Heard and Salma Hayek, emphasized to Us that dry brushing can “do wonders” for the skin, noting how skincare isn’t only about the face! See it: Get the Dr. Barbara Sturm Anti-Cellulite Body Brush for just $38 at Violet Grey! Also available at Revolve! 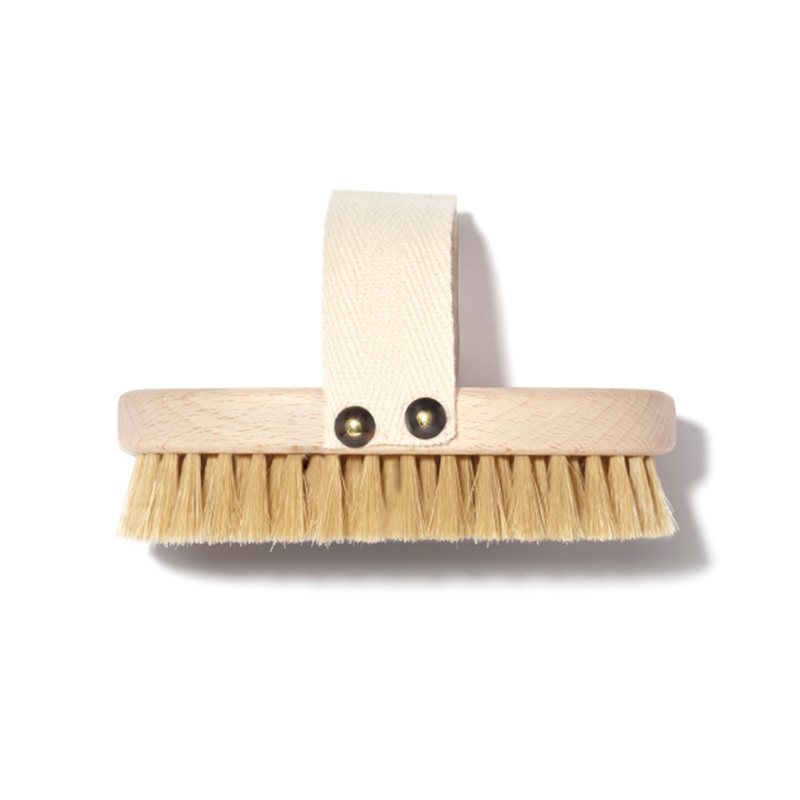 This body brush is made with natural bristles, no plastic! It also has a strong wooden base for us to hold while brushing our way to better skin. It claims to promote “smooth, tight skin” in areas such as our thighs, abdomen, arms and buttocks. Cancel that dreaded dermatologist or esthetician appointment, because this brush may be all we need! Dry brushing is known for having many benefits. Using this technique may remove our dead skin, exfoliating it away, encourage cell renewal, reduce painful and swollen ingrown hairs and help our body detoxify without any sketchy pills or painful processes. We’re keeping it natural and keeping our body happy. Dry brushing is an extremely popular way to target unwanted cellulite. This goes for removal and prevention! By dry brushing, we may increase blood circulation and lymph flow in the tissue, upping its metabolism so our skin can quickly smooth out. Dr. Barbara Sturm claims that dry brushing will also “enable the removal of waste products” from our skin, softening the appearance of dents! This is a dry brush, but, surprise! We can use it wet, too! Dry brushing may have a more intense effect than wet brushing, so if we want to start off slowly, or if we don’t have much time, we can use this brush in the shower. While wet, the brushing process may be gentler on our skin. Build up to dry brushing, eventually doing it before showering, before we step into the flowing water and wash all of our troubles down the drain. So how exactly does dry brushing work? We’ll make sure everyone has the proper techniques to get started. For any area of our body we’re targeting, the first step is to start farthest away from the heart and brush inward, toward the center of our body. Brush lightly and use even strokes. No need to press too hard! If we’re concentrating on our legs and buttocks, we should start at our foot, as it’s farthest from the heart. Work up toward the lower thigh, starting with the right leg, eventually brushing the buttock too. Switch to the left side and repeat! To concentrate on the arms, it’s a similar process as the legs, but we start at our hands instead of our feet. Brush inward, moving from hand, to forearm, to upper arm. Repeat on the left side now! For stomach brushing, technique is very important. We must follow the course of the colon “to rule out any blockage.” Begin brushing at the bottom right side of the abdomen, brushing upwards with small strokes up toward the ribcage. Then, brush horizontally to the left and continue down, always brushing in a clockwise direction. So, dry brushing seems pretty intriguing now, right? We’re throwing away our useless smoothing creams and getting the job done ourselves instead with this brush. We think this calls for some swimsuit shopping! Looking for something else? Check out more from Dr. Barbara Sturm here and more body care products available at Violet Grey here!